Sarpo Mira potatoes from Thompson & Morgan. The Sarpo range have been developed to give very good blight resistance. 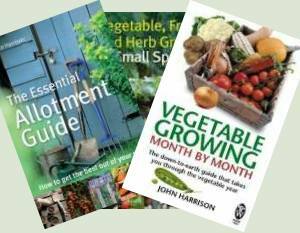 The most economical way to get your seed potatoes is probably your local garden centre or your allotment shop (if you have one). The reason is that potatoes weigh a fair bit and sending small quantities by post gets more expensive every year. Usually you can buy a 2.5Kg bag quite reasonably but that's quite a few seed potatoes. What if space is limited and you want to try quite a few varieties? Seed fairs can be useful but the majority of them happen a little late to give you a chance to chit them before planting. This is where mail order suppliers come in to their own. They often supply small quantities like 5 or 10 tubers which enables you to get more types into your space. One relatively new technology is the mini-tuber. Potato minitubers are micro-propagated in sterile conditions and offer gardeners completely disease-free potato tubers. They will produce normal sized potato tubers once planted. Using this new technology allows the seed merchant to store heritage varieties long-term and quickly introduce new and old varieties. Known as Christmas potatoes, second cropping varieties are stored in climate controlled conditions before sending out so they think they're in spring not the end of summer. Second cropping potatoes are not usually chitted, just plant straight after delivery in early August and they will be ready to harvest in approximately 11 to 13 weeks. You can either dig them up and eat them in late Autumn, or store them for your Christmas dinner. Protect them from frosts to be sure of getting a good harvest - growing them in bags or containers allows you to easily move them to a frost-free position. I would not recommend these for areas subject to early frosts or very cold conditions.